When we spoke with Isabel, a Cantabric illustrator from Estudio Isha, we knew right away where did her inspiration come from: the fantastic surroundings she creates from, between the sea and the mountains. An inspiring place, essential for all creative processes. 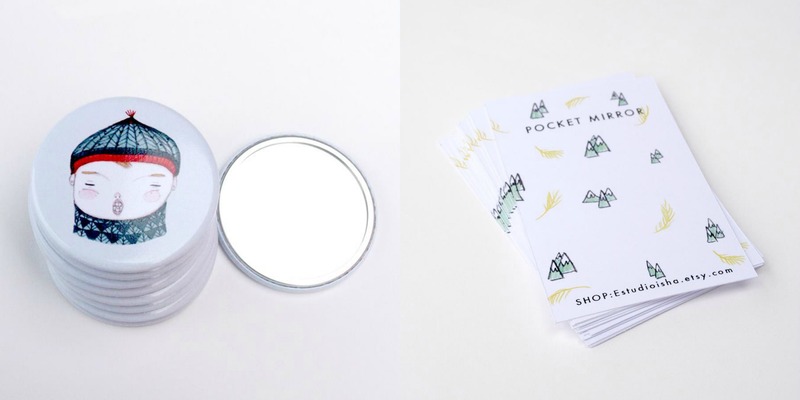 We can see those feelings reflected on the illustrations of their pocket mirrors. 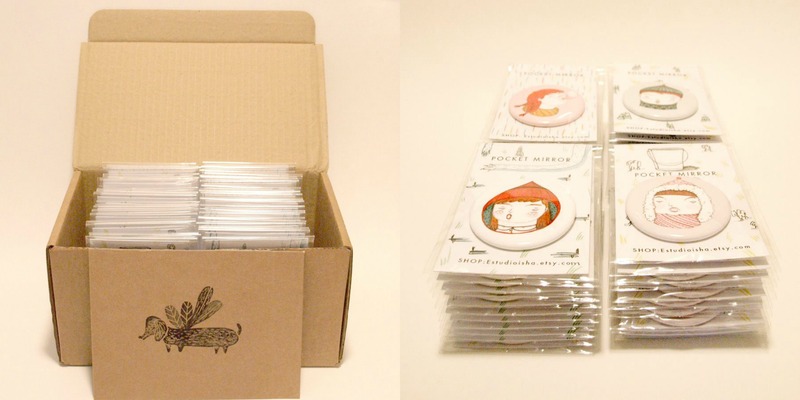 "On this mirrors I reflect what I perceive during these typical fall/winter walks (feeling your nose cold when you inhale or steam coming out of your mouth when you breathe...)"
Another thing that we would like to point out about Isabel's work is the creation of a unique packaging specially made for our pocket mirrors. On one hand, she thought about a functional design. 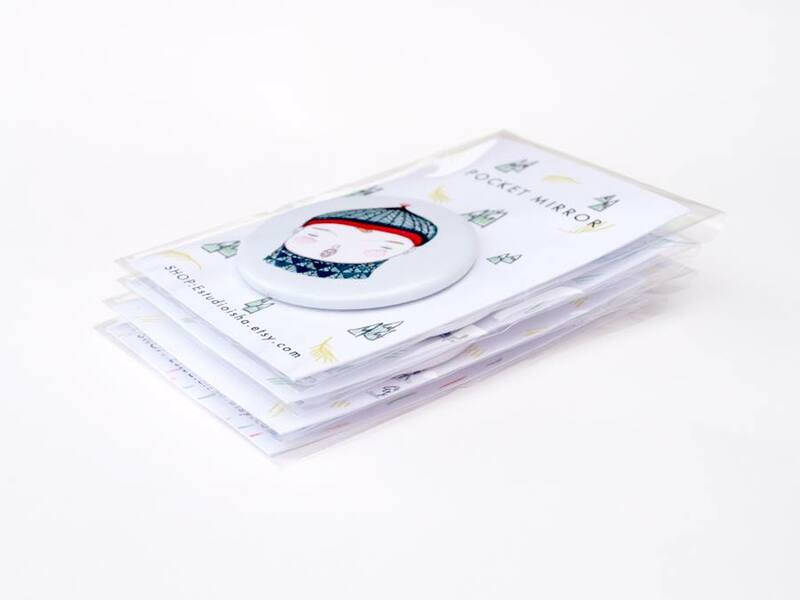 The pocket mirror is protected with a card which simultaneously publicizes her store on Etsy. On the other hand, a stylish design, using a similar tone shown on the walk-themed illustrations (the smell of wet earth, of freshly cut grass...) The illustration of the girl chewing gum intends to describe the flavour explosion and the feeling that recalls tasting an acid flavour gum in the mouth. And finally, wrap it all up with a plastic bag that transforms the product in a ready to give away gift.